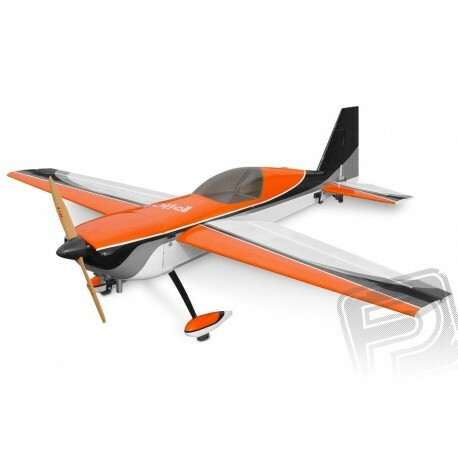 Aerobatic Pilot RC model EXTRA 260 2690 mm range is specifically designed for 3D and precision aerobatics classic but fun with it and enjoy a holiday weekend when flying, absolutely. It features a solid but very light structures made of balsa and plywood with extensive use of carbon and fiberglass components and braces from aluminum alloys. EXTRA 260 2690 mm, is designed to drive the 100-120 cc petrol engine.